Iron Mountain embarked on a comprehensive risk assessment program for all commercial vehicle drivers, which reduced reported incidents by 71% and cut the cost of claims by 43% in just two years. To further this effort Iron Mountain partnered with its insurance provider, Zurich, to acquire and deploy GreenRoad across its entire fleet to help reduce insurance premiums by improving driver behaviour and reducing overall risk exposure. After a wide search, Iron Mountain selected GreenRoad. 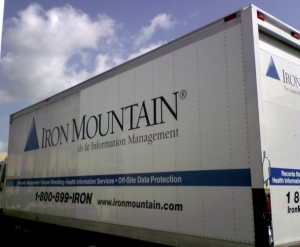 The fleet performance management solution allowed Iron Mountain to roll out the initiative quickly and allowed Iron Mountain to deploy the driver behavioursystem across all of their vehicles for full fleet visibility.